Kilcullen Diary: Those 'Rags' ... we're almost there! Those 'Rags' ... we're almost there! 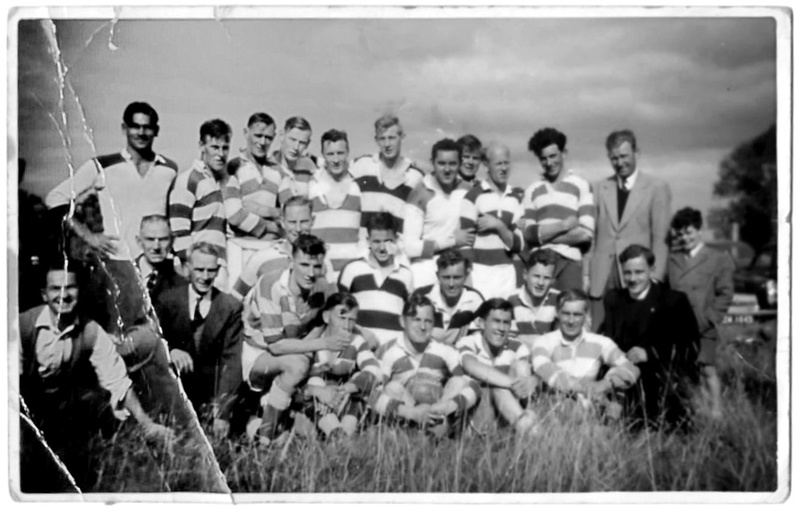 Thanks to Steve Schwer, we now have names for almost everybody in that 'Rags' football photograph found in the former home of Timmy and Margaret Lynch, writes Brian Byrne. There are still a few question marks (from Steve) to be dealt with. Thanks to everyone who contributed names since we first published the picture. Back: George Mitchell, Jim Byrne, Matt Doyle, Ray (or Leo?) Nolan, John Callan, Andy Nolan, Peter Paul Coleman (? ), NoName, Pat Lynch, Benny Duffy, Artie Aspell. Middle: Tommy Rankin (? ), Paddy Byrne NT, Paddy Donoghue, John Byrne, Des O'Brien, Frankie O'Rourke (? ), Tom O'Connell (? ), Ray Flaherty, Fr Sean Collier, Michael Lambe. Front: Billy Sammon (? ), Timmy Lynch, Jimmy McGuirk, Andy O'Connor.